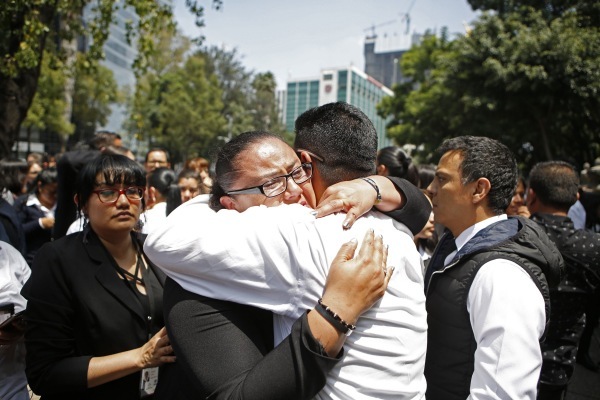 Mexico City International Airport (MEX) suspended operation for several hours on Tuesday after a 7.1-magnitude earthquake struck 75 miles south of the country’s capital, in the town of Raboso. The facility remained closed as crews evaluated whether its terminals and runways were safe for operation, airport authorities announced via Twitter. The airport announced that it had reopened for business at 4:00 p.m. local time. However, airport authorities are advising travelers to contact their airlines for details on how the shutdown will affect their reservations. As a result of the quake, the normally crowded airspace over the Mexican capital was virtually deserted. Commercial air travel came to a halt and the only things flying in the area were either military or private aircraft. The 7.1-magnitude earthquake struck on the 32nd anniversary of an 8.1-magnitude quake that killed as many as 40,000 people in and around Mexico City. Tuesday’s earthquake has so far caused 79 deaths with many more casualties expected. The aftermath — including collapsed buildings and significant property damage — is still being assessed. MEX is the second busiest airport in Latin America and is home to AeroMexico as well as low-cost carriers Interjet and Volaris.